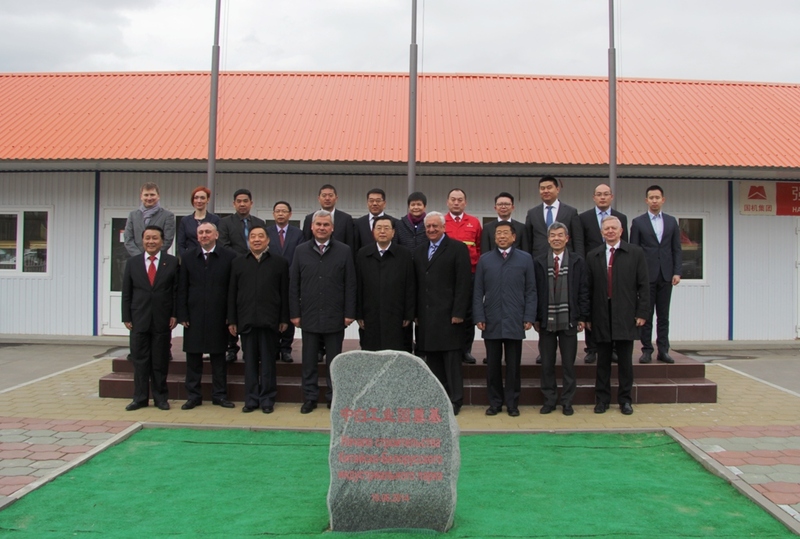 On the afternoon of April 17, 2017 local time, Zhang Dejiang, Chairman of the Standing Committee of the National People 's Congress (NPC), accompanied by the speaker of the upper house of Parliament in Belarus, inspected the China-Belarus Industrial Park. Chairman of SINOMACH Ren Hongbin and Chairman of CAMCE Luo Yan accompanied Chairman Zhang Dejiang during the inspection. 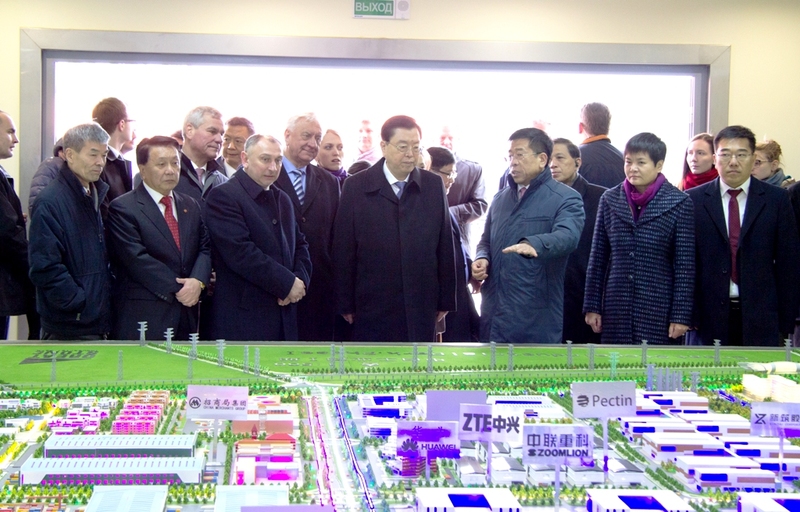 During the period, Chairman Zhang Dejiang visited the China-Belarus Industrial Park 110kV substation, China Merchants Logistics Park Exhibition Center, and listened to the overall presentation of the China-Belarus Industrial Park by Chairman of SINOMACH Ren Hongbin in the sandbox exhibition hall. Chairman Ren Hongbin said in the report, the China-Belarus Industrial Park is an important platform in bilateral economic and trade cooperation, and the landmark project in practicing "The Belt and Road" strategy. SINOMACH and China Merchants Group assume the main responsibility for the development of the park. Since May 12th, 2015, President Xi Jinping visited the China-Belarus Industrial Park, the development is progressing smoothly and the image is changing with each passing day, in the joint efforts of all parties, which achieves the three-nodes objectives required by the leadership of the State Council. At present, the China-Belarus Industrial Park basically realized "Seven Connections and One Leveling", with a comprehensive conditions in attracting foreign investments. After Chairman Zhang Dejiang listened to the comprehensive report of the China-Belarus Industrial Park project, he pointed out that under the joint effort of bilateral builders, the Industrial Park has been fully equipped with the investment conditions, and made commendable achievements. On behalf of the CPC Central Committee and the State Council, Chairman Zhang Dejiang expressed full recognition and affirmation. And then he hopes that with the bilateral co-together work, according to the two countries the heads of state, the China-Belarus Industrial Park will be the landmark project in "Silk Road Economic Belt" and the great stone of friendship and cooperation in China and Belarus. Vice Chairman and Secretary General of China's NPC Standing Committee Wang Chen and etc. participated in the above activities.